While some of us get depressed struggling to paint our nails a solid color, others create masterpieces fit for art galleries. 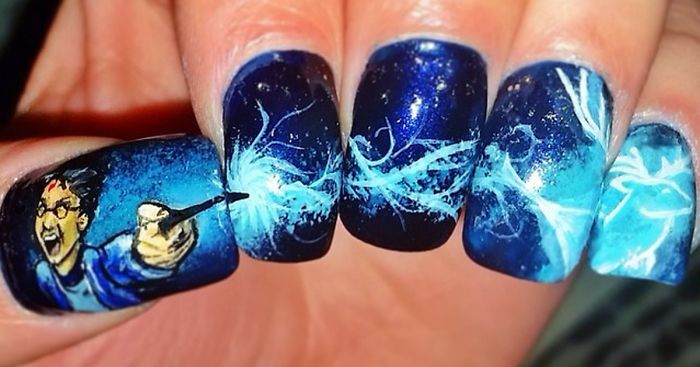 Just have a look at these intricate Harry Potter-inspired nail art designs. What kind of sorcery is that? We can't help but marvel at such talented people. Bored Panda tried its best to gather a bunch of stunning examples of Harry Potter manicure to please every Potterhead out here. Which ones do you like best? Share your own bewitching nail art designs with us, too! Love these. Beautiful free hand design. How come none of these have more points??? Ah, it's nice to see the original cover art. Hermione would never EVER wear a bow. So true! I suppose it's to make her look more... feminine? The people who can do these are *true* artists.